Fiat has started a new advertisement campaign for the North American-spec 500 city-car. The promotion started on 1st August with a tagline of "Simply More". 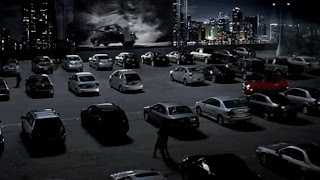 It displays a young couple cruising into a drive-in movie, in a 500 and viewing footage of the first-generation 500. Jump after the break to see the videos.